Spring finally! I realize it’s been a while since the last post, but so little happens during the winter. If you look at our entries here during the winter, they are about this storm or that storm, or look at the snow today. 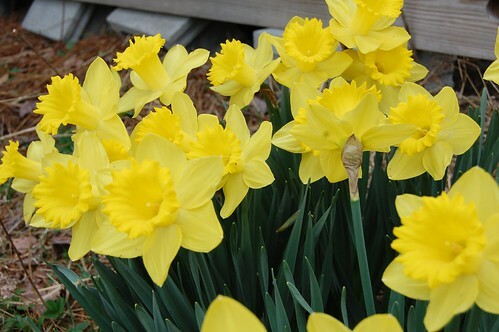 I’d rather look at daffodils. 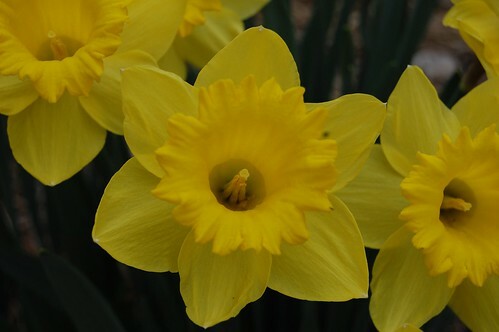 Temperatures today are said to be around 80 so I wanted to make sure I got some pictures of these daffodils before they melted. Aren’t they nice? 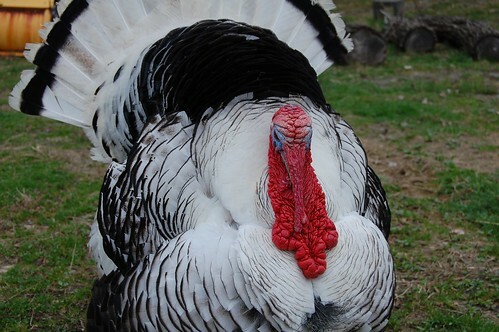 The turkey hens like to see them too. 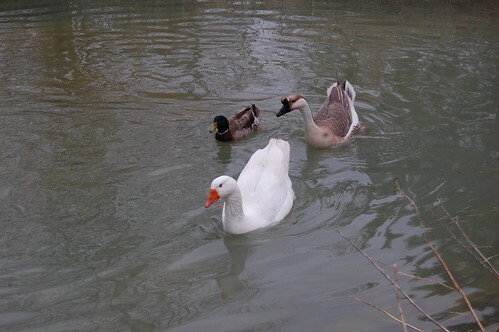 GooseGoose appear to be very happy the pond has thawed. The chickens enjoy the grass. 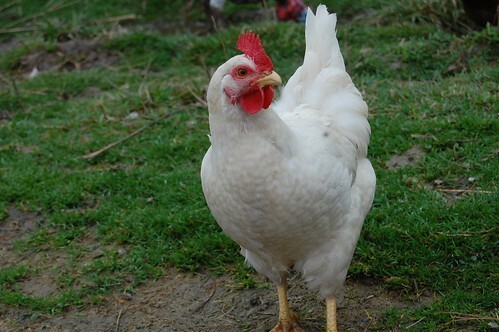 This is Gracie the churkey, a chicken who was raised by a turkey. She thinks she’s a turkey too. And here’s Murphy. He’s just always happy. Posted in weather. 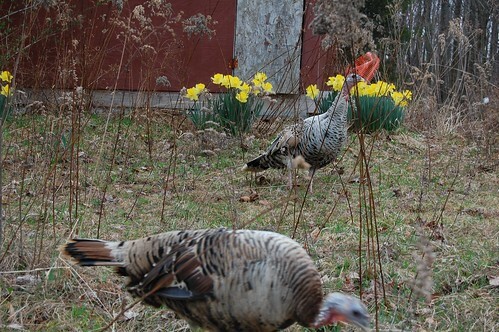 Tagged with daffodils, goosegoose, murphy, spring, weather.